With the changing of seasons comes another dismal opportunity to create a [brand new] playlist, befitting the not so sudden, and ever so slight drop in temperature that generally occurs as we plunge deeper into the year, and consequently deeper into that pile of leaves, which at USC is that mire of papers that has gathered around one's desk-- the intensity of it depending wholly on your personal level of procrastination, a direct measurement of exactly how many days you chose to dance in an inebriated state to M.G.M.T. (to whom no one has a reason to listen to except for the reason above) instead of doing work. 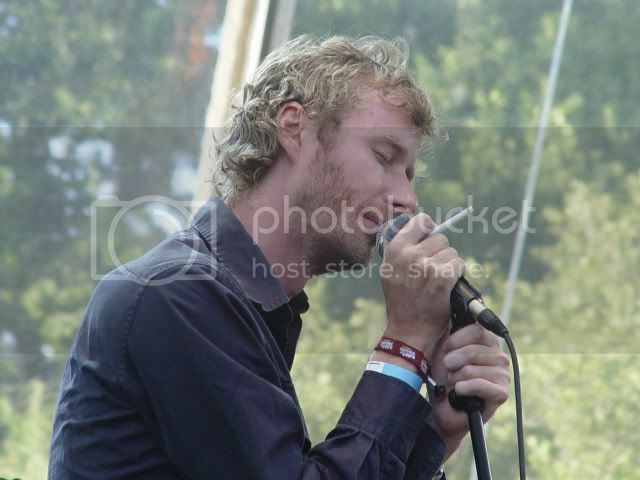 Regardless, Matt Berninger may have been doing likewise in his younger days as he reflects back on the autumn season. "I used to be carried in the arms of cheerleaders". With his cavernous deep voice and well carved cheekbones, it is not difficult to see understand why, as this lead singer proves awkward looks to be an unnecessary (although common) component to being frontman of an indie band. Kudos to those of you already familiar with the band, shaking your head to my cliche choice of song for said playlist, which is not so cliche at all with the exception of the title itself..
Those of you familiar with the band, but unaware of the existence of albums other than Boxer, should have their indie status examined. Those fully aware and fond of all albums, especially the Virginia EP, should lose their hipster status altogether... (I mean, half of the new EP wasn't even new). Have a listen, but if your immediate reaction is to add them as a friend, then you my friend, are behind the times. Dear reader, what are you doing with an active myspace and without a proper blog account? I guess that's what we're for. So stay tuned and keep reading.